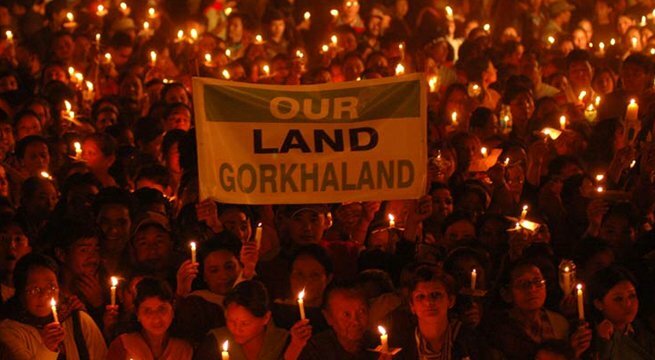 Gangtok: Sikkim Chief Minister Pawan Chamling today extended his support for a separate Gorkhaland state saying it would fulfil the constitutional demand of the people of Darjeeling hills and also bring permanent peace in the region. 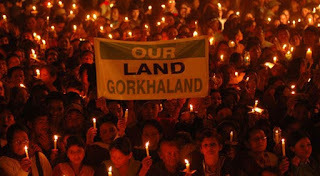 He also said that creation of a Gorkhaland state will restore permanent peace and prosperity in the region and Sikkim will be hugely benefited by it. The three decades of agitation has “claimed over 1000 lives and caused incalculable loss of property”, he said. 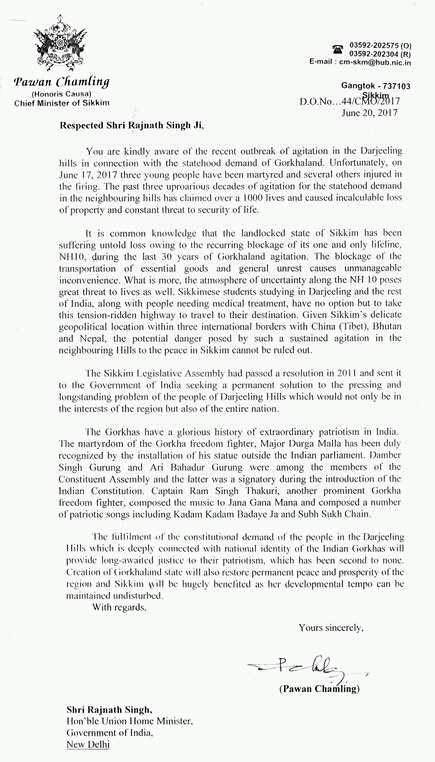 Besides, he said, Sikkim has been suffering “untold loss owing to the recurring blockage of its one and only lifeline NH-10, during the last 30 years of Gorkhaland agitation”. 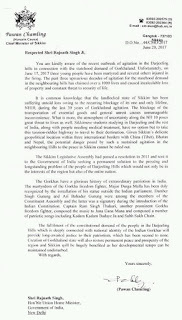 Chamling, also the president of the ruling Sikkim Democratic Front, wrote about the plight of students and patients who needed to take that “tension-ridden highway to travel to their destination”. He said that a prolonged agitation in Darjeeling-Sikkim region would pose threat to national security also because of the tiny Himalayan state’s strategic location. Sikkim lies within three international borders with China (Tibet), Nepal and Bhutan. Citing the martyrdom of several Gorkha people during the freedom movement, Chamling wrote, “The martyrdom of the Gorkha freedom fighter, Major Durga Malla has been duly recognised by the installation of his statue outside the Indian parliament.